Semble has today launched New Zealand’s first mobile wallet, giving close to one million smartphone users around the country access to a free app capable of transacting secure payments using only their smartphone. As reported by Computerworld New Zealand, the move sets a new precedent for Kiwis across the country, as Semble brings together mobile network operators 2degrees, Spark and Vodafone with banking partners ASB and BNZ and payments network Paymark to offer the first ever integrated mobile wallet to New Zealanders. What and who is Semble? Semble is a mobile wallet app that works with a Semble-Ready, secure SIM card to store credit and debit cards on your smartphone. Based on collaboration between Paymark, 2degrees, Spark and Vodafone, paying with Semble involves holding your smartphone over any contactless terminal: HOLD – BEEP – GO. It is available today for Android smartphone users on 2degrees, Spark or Vodafone who are also customers of ASB and BNZ banks. Why should I switch to Semble? Starting with the ability to make secure payments using your smartphone, Semble is initially available to Android smartphone users on 2degrees, Vodafone or Spark and customers of ASB and BNZ banks. Semble will eventually be a one stop shop, replacing all of the cards in the overstuffed wallet. Imagine the convenience of loyalty cards, transport cards, offers, vouchers and more all accessed via a single app on your smartphone. What happens if my phone is lost or is stolen? If your phone is lost or is stolen the first step is to call your mobile network provider to suspend your Semble profile. You will also need to call your bank to block the cards you have in Semble. What is the “Always On” functionality? Always On is a setting that gives you the choice to pre-select one card to be active all the time without needing to open the Semble app every time you pay. The Always On feature is optional and it is up to you whether you want to switch it on or off, which you can do at any time. What security does Semble have? Semble has been developed in conjunction with New Zealand’s biggest banks and meets the highest international standards for security. Semble also offers you the choice to set your own level of security – you can choose to enter a 5 digit Semble Security Code each time you open Semble. Semble also recommends using the built-in screen lock on your phone, giving two layers of protection which is extra protection on the traditional wallet. The Semble Ready SIM that holds personal data has been encrypted to the same global standards as the chip on your plastic bank cards. As with plastic payment cards, any fraudulent transactions made via Semble will be covered by your bank's policy relating to zero liability for customers. Can Semble see my banking information? No – Semble will not see the transactions you make or have visibility of your private banking information. Your personal bank card information (card number and details) is held in a highly encrypted secure part of the SIM. Using NFC, the SIM will securely talk to the payment terminal to complete your purchase in the same way a plastic contactless card does. When will Semble be available as an app to iPhone users? The vision is to make Semble available to all New Zealanders. The iPhone 6 and 6+ launched late last year represent the first Apple devices ever to have NFC capability included and the launch of Apple Pay in the US last year further demonstrates positive momentum in the mobile payments space internationally. While it is still too early to know what the potential opportunities are for New Zealand and for Semble with Apple, Semble remains optimistic by the developments with Apple and will continue to assess how Semble and Apple can work together in the future. Why aren’t ANZ and Westpac on board given they partly own Paymark? Semble is open to any New Zealand business and continues to have ongoing communication with a number of other banking and non-banking providers. Why do customers need to get a new SIM card to use Semble? The Semble Ready Secure SIM is different to your current SIM. It provides support for NFC contactless communication and introduces a secure element that stores encrypted personal information, to the same level as your existing physical bank card today. What happens if my phone network goes down or I am out of the coverage area? Semble does not require the telecommunications networks or data to make a payment. So even if your mobile network goes down, you’ll still be able to use Semble. 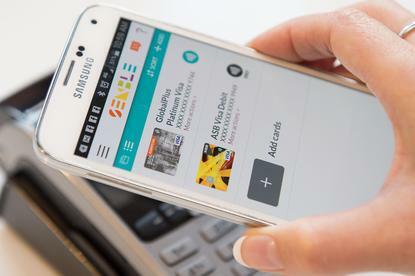 Semble uses NFC to connect with the payment terminal and NFC does not require data or a mobile network to operate. How many NFC enabled Android phones are currently being used in New Zealand? As of today there are nearly one million Semble Ready Android phones in New Zealand across the three mobile networks (2degrees, Spark and Vodafone) with numbers continuing to rise. How many NZ terminals accept contactless payment today? Semble can be used anywhere there is a contactless terminal. There are over 20,000 contactless terminals around New Zealand today, representing around 40% of total transactional volume. A key driver of this number is where the terminals are. Heavy representation across fuel, grocery, retail and hospitality categories is driving increasingly habitual contactless behaviour from consumers. With customer appetite for contactless payment increasing exponentially and continued endorsement of NFC as a mature global payment technology, Semble expects this number to increase significantly over the coming months. How are Snapper involved with Semble? Snapper has been announced as a Semble partner, which from June will see Snapper card holders extending the use of their smartphones into many more daily activities, including jumping aboard public transport. How are BurgerFuel involved with Semble? In April, Semble is commencing an active trial, testing special offers for redemption at point of sale using the Semble app, initially with New Zealand gourmet burger brand, BurgerFuel. This marks the beginning of a third Semble category offering (voucher and offers capability).